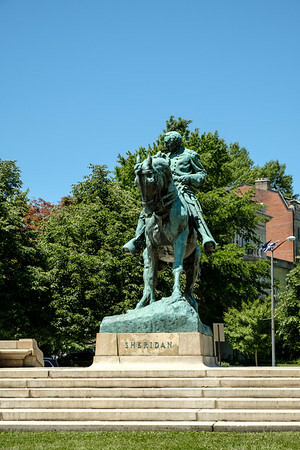 The General Philip Sheridan Equestrian Statue is located on Sheridan Circle on Massachusetts Avenue in Northwest Washington DC. 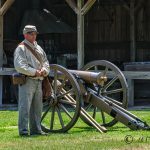 It is one the eighteen statues and monuments spread out through central and northwest Washington collectively known as the Civil War Monuments. 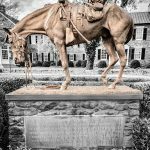 General Sheridan was the leader of the Union Cavalry and commander of the Union Army of the Shenandoah during the Civil War. His horse “Rienzi” carried him through eighty-five battles and skirmishes. 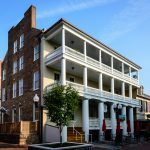 On October 19, 1864, Rienzi carried his master on a furious ride of over twenty miles to rally the retreating Union troops at the Battle of Cedar Creek near Winchester, Virginia. Sheridan’s arrival rallied his forces, who eventually won the day, ending the Confederate resistance in the Shenandoah Valley. After the victory, Rienzi was immediately renamed “Winchester”. The original commission to erect the equestrian statue of General Sheridan went to John Quincy Adams Ward in 1892. He was to complete the work by 1898. He not only missed the deadline but did not produce a statue satisfactory to Irene Sheridan and her son, Philip Sheridan, Jr. When they visited Ward’s studio they both hated the work describing it as a stout older officer atop a stilted horse. Gutzon Borglum, who is best known for his design for Mount Rushmore, had been closely following Ward’s procrastinations and the comments on his final design as the two men had an argumentative past. Borglum was determined to do a better job. He also needed the money. 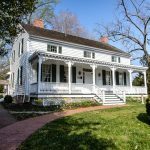 He studied General Sheridan’s life, reading biographies and memoirs. He managed to secure an invite to a party where Irene Sheridan would be in attendance. He was able to impress her with how much he knew about her husband. On January 17, 1908, Borglum received approval for his design. He depicted Sheridan atop Rienzi rallying the retreating troops at Cedar Creek. The horse has been described as hard-muscled, triumphant and proud. No other equestrian statue in Washington has the tempo of this one. Borglum was equally effective in his depiction of Sheridan. The General was a short, slight man but a born leader of men. 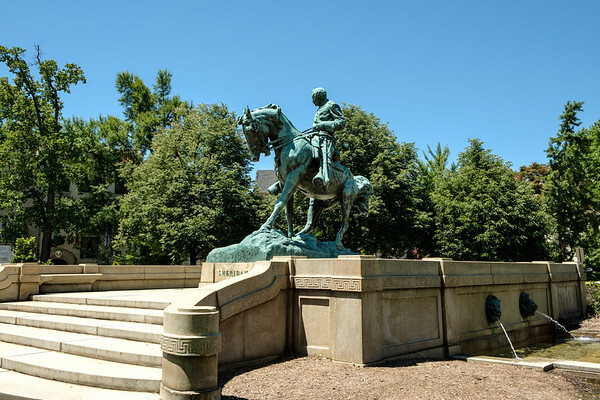 The General Philip Sheridan Equestrian Statue, along with the seventeen other Civil War Monuments, was added to the National Register of Historic Places in September 1978 and the District of Columbia Inventory of Historic Sites in March 1979. As visitors to this web-site will know by now, I have a penchant for second hand books. One I picked up a few years is The Outdoor Sculpture of Washington, DC by James M Good. This book was first published in 1974 and is long out of print. 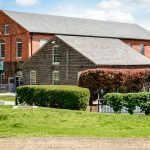 The book contains traces the history and significance of over 400 open-air sculptures in the Washington metropolitan area. It is well worth hunting down a copy. 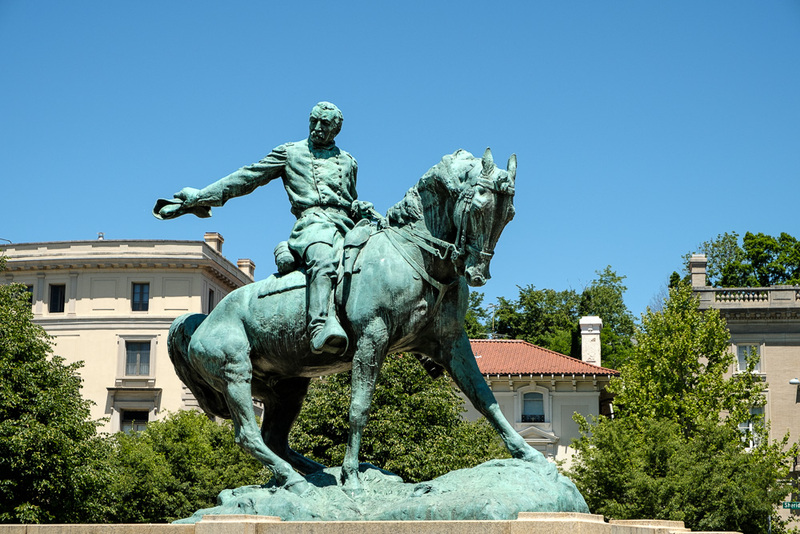 The General Philip Sheridan Equestrian Statue in Washington DC is one the eighteen statues and monuments known collectively as the Civil War Monuments.